Nettleton is a friendly place to live and raise a family, establish and grow a business or simply "enjoy the good life." Nettleton is located on four-lane U.S. Highway 45, approximately 20 miles south of its intersection with Interstate 22, and is your ink to any destination in North America! The City of Nettleton was incorporated soon after the Kansas City, Memphis and Birmingham Railroad (KCM&B) (now the Burlington Northern Santa Fe) began traveling through Lee and Monroe Counties. Several local businessmen decided to take advantage of the new railway and established the City of Nettleton in 1888. Nettleton was named after George Henry Nettleton, then president of the KCM&B Railroad. 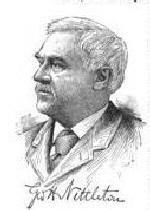 Mr. Nettleton was instrumental in founding the city. Lumber business was the early industry in Nettleton - Nettleton Hardwood Company opened in 1890 and shipped wood to every state in the nation . . . and large quantities to the world market. After the best timber was exhausted, Nettleton continued as a farming community and slowly but steadily transformed into a small city through the development of the railroad and the construction of Mississippi Highway 6. Now, more than 100 years after its founding, the adaptability and heritage of Nettleton continue. Local residents and businesses alike work together and take pride in their town. Nettleton has excellent police, fire and public works departments as well as its own municipal justice system. The new, modern City Hall building is less than eight years old and an excellent facility for local residents to use in conducting their city-related business. In the 1950s the residents of Nettleton chose not to elect public officials, and the State of Mississippi rescinded the city's charter. Then, in 1964, Nettleton was re-incorporated so state funding could be sought for a medical clinic. 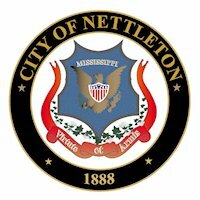 The City of Nettleton is a Code Charter Municipality.